It’s 4PM and a container ship is getting ready to depart from port. The crew has had a long day going through an intensive safety audit with a company superintendent onboard. Now the mate is dealing with last minute cargo manifests. Cargo lashing is still not completed by the shore gangs. The engineers are waiting to test the main engines but for this the gangway needs to be cleared off from the quayside. The duty officer is down in the engine room ballasting the ship to bring her upright. The harbour pilot is on the bridge pressing the captain to leave the berth soon. The tug boats have arrived, and the captain calls for harbour stations to be manned within the next 15 minutes. The captain then announces on the radio, “Single up forward and aft as soon as you can”, implying that all but one mooring line should be dropped off and retrieved onboard once the cargo operations are complete to avoid any further delays to the vessel schedule. At the back deck, there are two able seamen, Jo and Max, eagerly waiting for the duty officer and the ordinary seaman to arrive before they can commence the undocking of the ship. Once they hear on their hand-held radios that cargo operations have completed, and the gangway is cleared off from the quayside, Jo and Max feel the pressure of time. While Max proceeds to the seaward side of the ship to make fast the tug, Jo takes the responsibility to drop off the mooring lines all by himself. The winch control is located at the centreline of the ship. The position makes it difficult for one person to operate the controls and watch the mooring lines clear off from the quayside at the same time. Jo has a solution, but one that may not align with the design intent and company procedures. 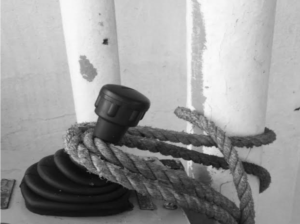 He pulls in the winch control lever, ties it with a rope (see Figure 1) and leans outwards from the shipside to monitor the rope. But to his bad luck, the harbour pilot watches Jo from the bridge and informs the captain. The captain calls Jo to the bridge and reprimands him for violating the procedures. A detailed investigation follows soon after departing from port. The management is now seeking an explanation. With policies and procedures that preach so hard to prioritise safety over commercial interests, the management is annoyed with Jo’s actions. There are at least two ways of understanding this situation – the hindsight view and the foresight explanations. Let’s look closer into each. If I were the safety manager, it would make perfect sense to disapprove of Jo’s ‘reckless’ behaviour. I would have difficulty proving otherwise. If I approved of Jo’s behaviour, what is the difference between me and him? What examples of (safety) leadership am I setting? What message am I sending down the chain? I have invested so much in behavioural safety programs, I have warned each one of them not to take undue risks, I have asked them to reach out to me when in doubt. I expect them to follow procedures, conduct thorough risk assessment, and I always encourage them think in the moment. Think about your families and your loved ones before you do something silly! Clearly, Jo did not think. He chose to go against the rules, violating procedures. He needs to be disciplined. They must take risk assessments and tool box talks more seriously. We will continue to enforce better (more) procedures for mooring operations. This is certainly one way of looking at this event in hindsight. We now consider some foresight explanations and for this, we should get rid of what we know so far. Let go of the fact that anyone saw Jo overriding the winch control and ask some fundamental questions. Notice there was a company safety representative on the ship and a safety audit had just been completed. Why is it that no one noticed the deeper symptoms of Jo’s behaviour in everyday work? Why is it that such behaviours are so hard to detect until they show up? What does this tell us about the state of safety audits and the overall effectiveness of control measures in ensuring safety? Is it really Jo’s problem alone or is there more to it? about shortcuts and compromises that form the basis of everyday work, and risk their jobs? The inspector is not interested, and neither are safety departments in most companies. Their goals are different. The inspector has an incentive to find fewer problems and those that do not do this ruffle too many feathers. The safety department has an incentive to aim at zero deficiencies, whatever it takes. Questions aimed at understanding messy realities (such as manual overriding of safety devices) are seldom directed at understanding the users’ perspectives – their ‘local rationality’ (see EUROCONTROL, 2014). Rather, the aim is to provide an accurate (procedural) response from the highest rank on the ship to avoid confrontation and skim through the safety inspection. Contributions from crew members in lower positions who actually carry out the work are not considered necessary. In many cases they are sidelined. 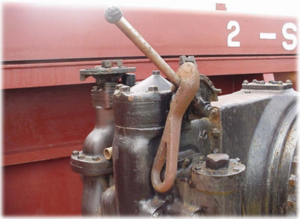 Jo’s behaviour on the day gives us an insight into the state of safety audits in many safety critical industries including the maritime sector – superficial exercises aiming at minimum compliance. What can we learn from Jo’s behaviour about the effectiveness of control measures? Closer to departure time, there was an enormous build-up of time pressure and far too much to be achieved in limited time. Cargo securing, cargo planning, gangway watch, ballasting and stabilising the ship, preparing the bridge and engine room for departure, communicating with port officials, discussing the voyage plan with the pilot, manning the harbour stations, undocking the ship and making fast the tugs. There is a procedure for each of these activities but the boundaries between where one activity ends and the next one starts become blurred. With a handful of crew members performing multiple activities, it is problematic to identify which procedure is most suited to the situation, who is responsible at what point and where exactly lies the ‘violation’ from procedures. In order to follow all the procedures one may well end up not complying with the hours of rest and work. 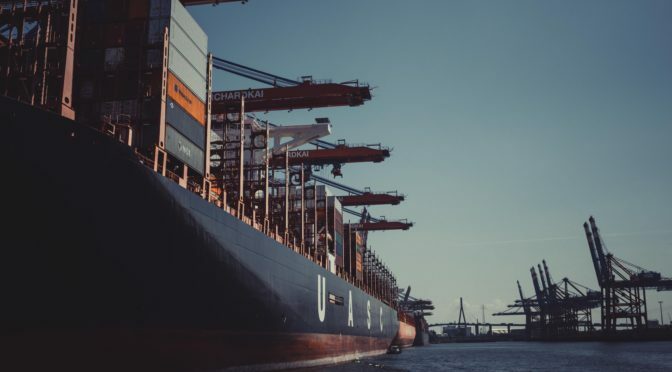 Indeed, there are detailed and extensive procedures for most shipboard operations in most safety management systems, but what is their real usefulness? 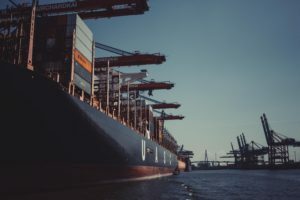 Many of these procedures cross-refer to other procedures, regulatory requirements, industry standards and the so called ‘best practices’, whose practical usefulness for an average seafarer is questionable. This is not to raise questions about the competence and intellect of the end users of procedures. It is to understand the intent behind including such detailed documents that are both inaccessible and impractical for front-line work. Here it is important to raise a few more questions. How do people make sense of procedures and instructions in a time-constrained and a constantly evolving work environment? Are procedures readily available and accessible as work is being performed? Are we expecting people to carry procedure manuals along with them while they perform their jobs? Or do we expect them to memorise all of the procedures beforehand? It is important in managing operational safety risk that one can monitor (watch for) and intervene (prevent) an escalating situation. Jo’s story serves as an example to understand how the most effective risk control measures are forgotten in paper-based risk assessments and checklists. When Jo requested that Max go away and make fast the tug, he unknowingly removed a crucial control measure from the scene. Far too many lives are lost at sea whilst rigging the gangway in the dark, operating incinerators, working in confined spaces and painting aloft. It is not uncommon that the person is left alone without proper monitoring or direct supervision. Ensuring that every operation at sea involves at least two people may save so many more lives than reprimanding a crew member. A final thought on Jo’s behaviour. When people see the picture of a winch control being tied with a rope, their eyes tend to pop out. When I first encountered this situation I too felt deeply concerned and agitated. But such examples are reported in numerous industry publications (UK P&I Club Mooring Report). We may choose to call it a ‘behavioural problem’ and impose further controls. But we could also view Jo’s behaviour as adaptation in the face of bad design, poorly written procedures, ineffective monitoring and limited resources. Interestingly, very little of these issues surface even with copious safety audits, inspections and other forms of governance. Merchant seamen have long been acclaimed for their ability to ‘make do’ and adapt against the odds. Until such time as everything is properly designed to ensure things go well (or no one has spotted it), people will adapt. This is commonly referred to as ‘seamanship’. But when things go wrong, the same adaptation turns into ‘error’ or ‘violation’. Through the story of Jo, we have seen adaptation in hindsight and foresight. The one we choose defines our frame of reference as much as what Jo did in the heat of the moment. Reproduced from EUROCONTROL HindSight Magazine Issue 28 (February, 2019), with permission. Great article Nippin. Your discussion around how traditional safety audits, inspection or other forms of monitoring have a starting position of looking for compliance vs non-compliance in the absence of seeking to understand the decision-making factors resonates strongly. Thanks for sharing. Excellent summary, with powerful foresight mindset proposed to improve. If ‘foresight’ applied to procedures and behavior, it would have saved t193 lives on Herald of Free Enterprise. Wasn’t what was needed was for Joe to be told to just focus on being safe, and the Master to accept of safe meant a ten minute delay leaving the berth, he would deal with that consequence. A great article indeed. The audits must bring out the work as imagined and the work as done, in time constrained sea and shipboard environment. While the responsibility of bringing out this gap lies with the auditors, the management must be willing to receive the audit reports as is rather as desired. An audit report is just a data collection activity. The report must be analyzed by the management for the reasons of gaps between , work as imagined ( in manuals) and work as done. . In my industry (railway) I as a Driver get assessed as part of the SMS by my line manager, and the line managers get to see work as done, on the live operational railway with all its day to day variabilities – everything from infrastructure faults, train faults, and the unreliable and erratic behaviour of a few passengers at the platform train interface. The auditors/standards people audit the line managers. They check to see the assessments have been done by when they should have been done etc. But they don’t see real work. And they don’t get exposed to the pressure the operator is placed under to be on time, explain why you lost time when you were just driving as per company policy. When your break got cut short for the third time this week, when on your fifth early of the week there is a big delay and you have been on duty seven hours without a break and your exhausted.